Looking for the latest Brazil football shirt, shorts or socks? You are in the right place. Here at the Soccer Box Brazil kit shop you can find all the latest football kits for the Brazilian national team. We are supplied directly by Nike and you can order the official jerseys, shorts and football socks in junior and adult sizes. We offer fast worldwide delivery options, so order today and be ready to cheer on the Brazil squad at their next match, whether it is a friendly or major World Cup game wearing the latest Brazil shirt is the best way to highlight your team allegiance. American sportswear producer Nike has been the manufacturer of the Brazil football kit since 1997. There has been much debate as to the relationship between Nike and the Brazilian football federation, including FBI investigations into potentially fraudulent activity surrounding the deal. Whatever the history of the deal, the Nike-Brazil relationship has been one of spectacular kits, highs and lows, and big money sponsorship, with the current deal being worth a reported $32million per year. Like all football teams Nike design and produce new Brazil kits on a regular basis. A full complement of new shirts, shorts and socks are released ahead of every major tournament including the FIFA World Cup and Copa America. The most popular with fans is the Brazil home kit featuring the iconic yellow, blue and green colour scheme, but there are also away strips, training gear and accessories to suit all tastes and budgets. Why Choose a Brazil Football Kit? 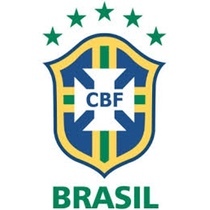 Over the years the Brazilian team has featured in many high-profile games, and they have become an icon in the football world. It is often said that “the English invented football, but the Brazilians perfected it”. And it is this mass of heritage and success that makes the Brazil football kit respected and worn around the globe. Since its formation in 1914 a large number of footballers have had the opportunity to wear the iconic Brazil jersey and play for their nation. Many of these players have come and gone, however, some have created a lasting legacy that has impacted the evolution of not only the Brazil national team but football as sport. In fact, there are so many great footballers in the history of Brazil we can’t possibly list them all. We have picked out our top five, in order of first appearance, and listed them below, but we’d love for you to look us up on social media and tell us your favourites and why. Of course, with so many footballers becoming an icon of their nation it is popular for fans to request that their shirt be personalised with the name and squad number of their favourite player. Here at Soccer Box we can offer a shirt printing service for select Brazil kits and players. Currently with Neymar Jr as the team captain his name and number 10 are the most frequently requested, and you can have your shirt personalised with his details for a small additional fee. We only use official lettering to ensure you get a high-quality product, that looks fantastic. We can add Neymar Jr printing to both junior and adult jerseys, but stock is limited so place your order today. Whether you are shopping for an adult or child you can kit the whole family out in the latest Brazil strip when you shop with Soccer Box. We are supplied directly by Nike guaranteeing that you are purchasing the official Brazil shirt, shorts and football socks. We aim to keep prices competitive and we offer worldwide delivery options to suit all requirements. Whether you are ordering ahead of the next World Cup game or are simply a passionate fan of Brazilian football you are making a great choice ordering from us. Why not check out some of our Trustpilot reviews where you will see many happy customers. But, remember supply is limited and the Brazilian national team is popular worldwide so avoid disappointment and order your new Brazil kit soon.